During my recovery I have been fortunate to be able to continue cycling on a static trainer, cranking out the miles on Zwift Island using the Wahoo KICKR . With the onset of Spring, and resulting sunshine, people have been digging their bikes out from the winter hibernation, and I’ve been champing at the bit to be able to get out there with them – and finally 9 weeks after my operation, I got out on a ride! TO be honest, I dont think the sun was the real trigger, I’d ben getting slightly VERY itchy feet over the last few weeks just wanting to get back out on the bike. The fact a few days ago I managed by furthest distance to date on Zwift Island, spinning for 40km, didn’t really help the urge. Even though I KNOW there are risks to cycling following a broken elbow even at this stage. Yesterday I had my 9 week post-op checkup… A mix of positives and negatives I think is the only way to characterise it. 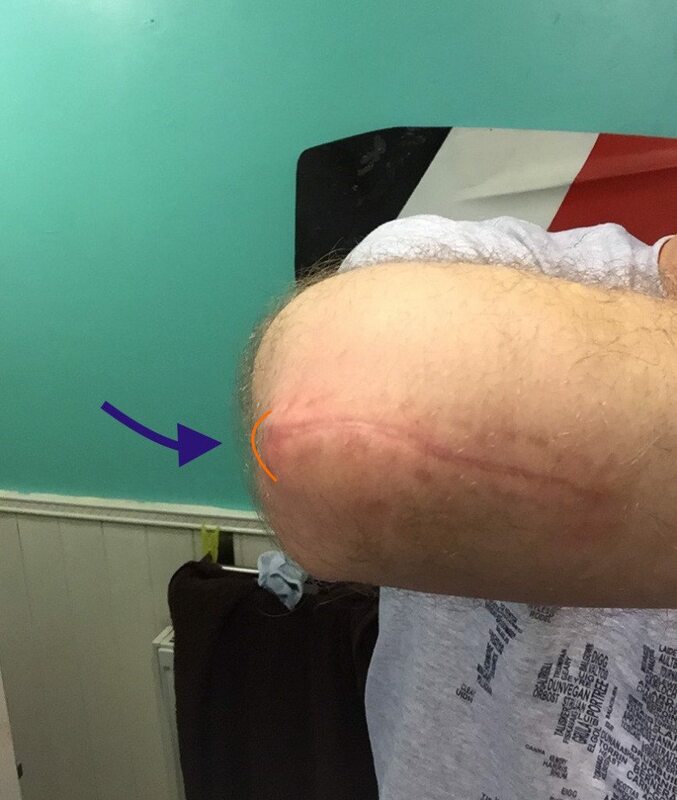 I’d been anticipating this appointment for two reasons, firstly I felt that I had been improving greatly, but that also I was aware of an increased swelling and slight discomfort to the elbow when I extended it fully. I was beginning to think I could see the outline of the metal work through my skin, so I was VERY keen to discuss that! 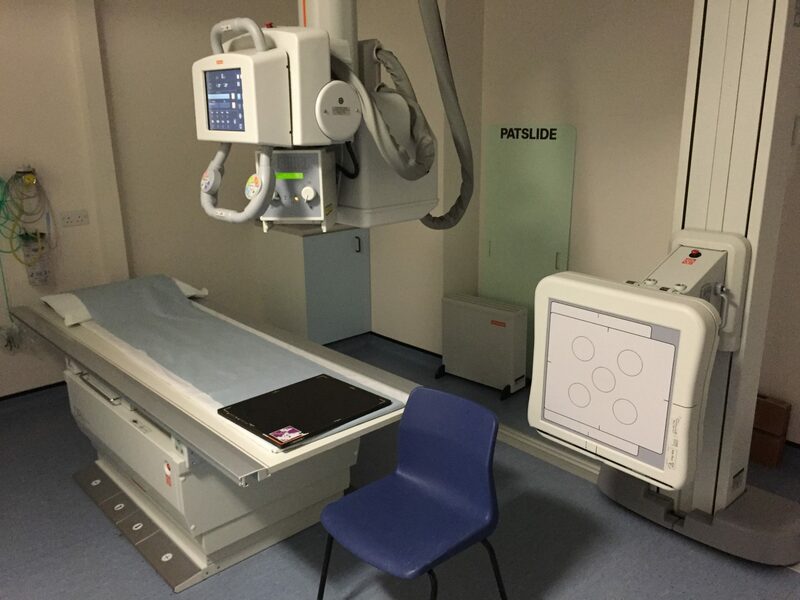 So turning up at the fracture clinic, and the usual protocol is followed, off to Xray for another series of images. 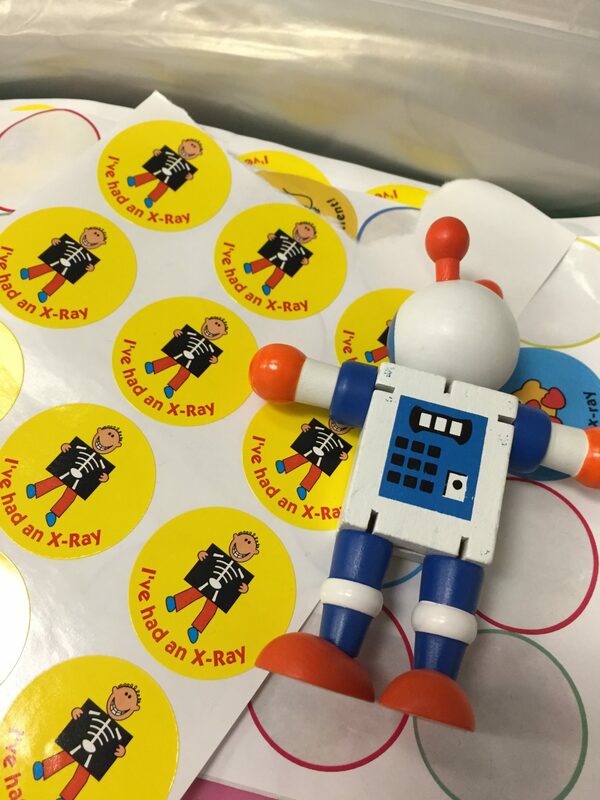 Thankfully this time, the actual X-rays were MUCH easier to have done, I was able to hold my arm out, and at all of the angles without any issue at at. Aligning angles for the injury – look they use a LAZER!!! Its like the FUTURE! Again LEFT: latest, RIGHT: 2 week post op. 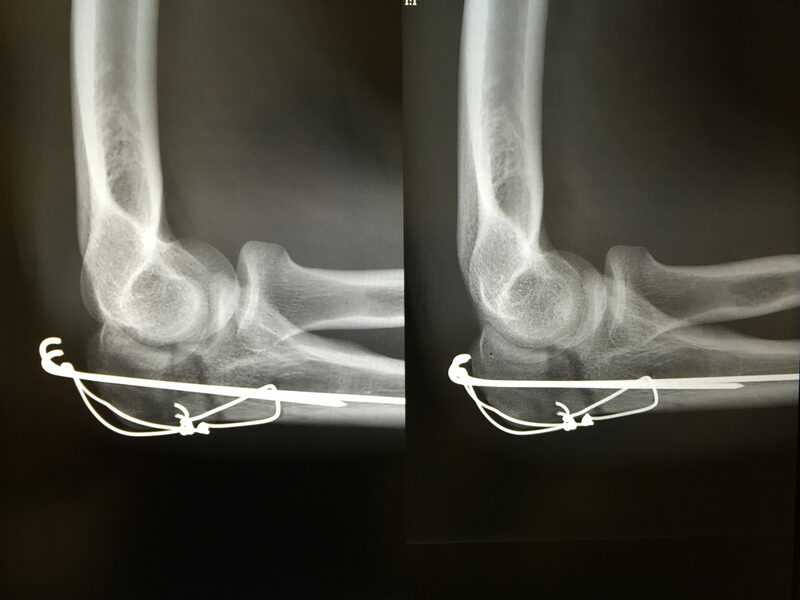 The image on the RIGHT shows a lot of swelling still as a result of the operation, but the image on the LEFT shows the metalwork poking out from the bone, and also the bulge they are making in the skin. The biggest issue that this is causing me is they press on the back of my humerus, the bone coming down from your shoulder. With repeated movements this makes the arm sore, and prevents me from straightening the arm as far as I had done. I suppose the big question is why is this happening? Plus is it a problem? Firstly its a normal response as my body heals around the rods. 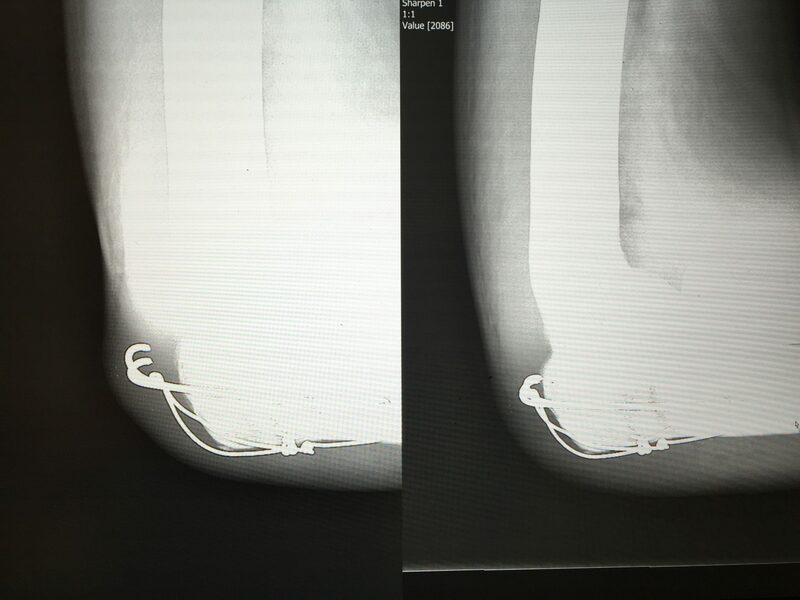 The hole in my forearm made where the rods went in is filling in, and literally pushing the rods out of my arm. This is exactly the same remodelling process that is happening at the fracture site, but there the bone is trying to fill a gap, and not finding anything IN that gap! The backing out also happens to some degree as the metal rods are foreign objects within the body, so in the same was as over a few days your body will push an annoying splinter out of your finger, so my body is trying to push these bits of metal out. What has surprised me is the speed. Moving ~1cm in 9 weeks. The distance moved makes me wonder how far the pins are i) going to move and ii) at what stage is that movement going to start causing me more of a problem with regard to discomfort and the maximum extension I can muster. The physiotherapist was very pragmatic about the rods however – the longer they stay in the better, and that the fracture should be well on the way to a nice “sticky” callus by now. 12 weeks is the next safety goal, where its going to be exceptionally unlikely I can disrupt the fracture. Looking at the X-rays, the fracture does appear to be healing well, although is quite visible. It will probably be an entire year before the bone has completely remodelled. we’ll just have to wait and see. The upshot of his pragmatism is there isn’t really anything that I cant do – as long as it doesn’t hurt. Again returning to this concept of 5/10 pain scales. Crucially the physiotherapist was happy for me to CAREFULLY go out cycling following a broken elbow. 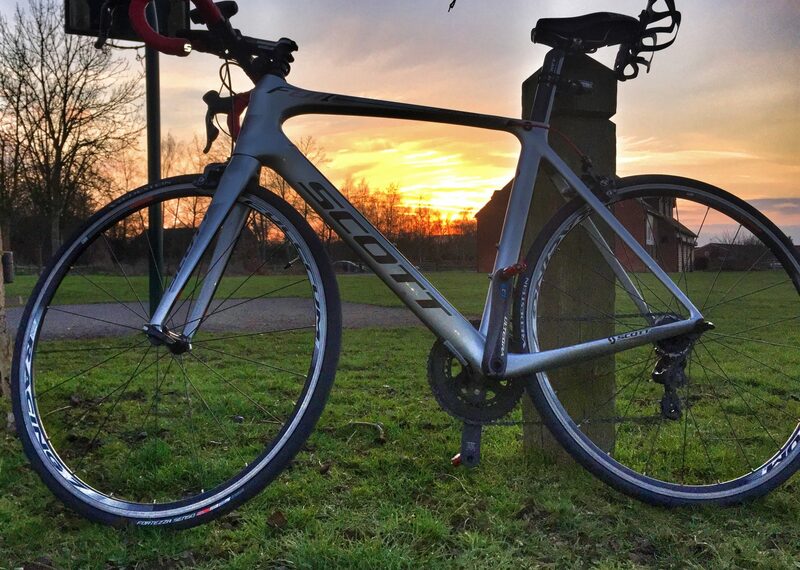 Scott Foil – first ride post op – couldn’t want a better evening. The first ride was VERY short, just bumbling around the grass on flat pedals. That way if anything did happen, I’d like not cause myself any issues on the grass. One thing that was astonishing was how much core body strength I have lost. The sheer activity of keeping a bike upright is very difficult. I can only imagine this is what it was originally like when I learnt to ride. I stopped things after about 10 minutes, just because it was very tiring on the RIGHT arm. But never the less, a real achievement first time cycling following a broken elbow!! 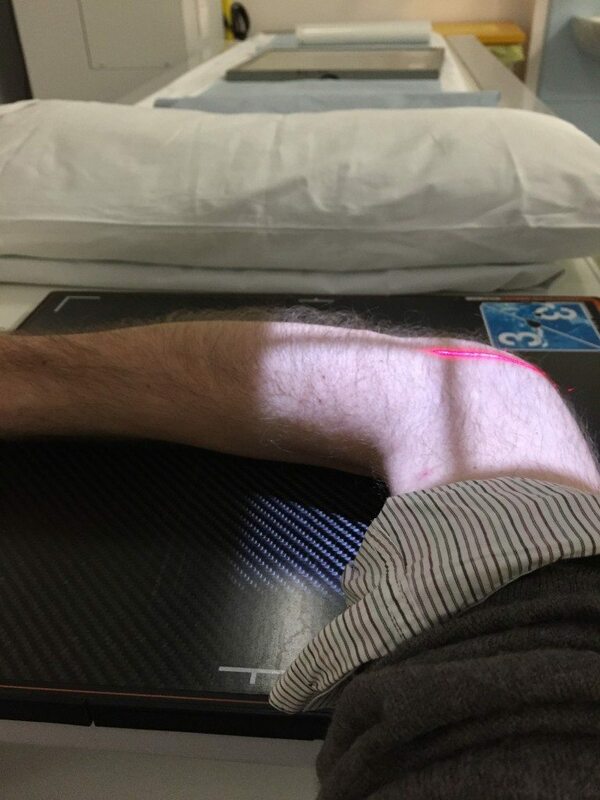 Whilst I’m nearly fixed, I think it is going to be a long time before I’m going to be doing any riding of distance on anything other than Zwift – but at least I could double use the time for more physio!